TALLAHASSEE, FL (Feb. 22, 2017) – During the United Way Capital Days, United Way of Florida released the findings of the updated United Way ALICE Report. It states that 29.5 percent of Florida’s working households are struggling to make ends meet, and another 14.5 percent earn less than the Federal Poverty Level. Combined, 44 percent or 3.3 million households out of the total 7.5 million households continue to struggle. Drawing from research in the ALICE Report and from work being conducted by local United Ways, Florida’s 32 United Ways developed a consensus legislative agenda to advocate during the 2017 Florida Legislature to help working families. Two years ago, United Ways introduced ALICE®, which stands for – Asset Limited, Income Constrained, Employed – to place a spotlight on a large population of residents who are working, earning more than the Federal Poverty Level, but still have difficulty affording the basic necessities of housing, food, child care, health care and transportation. Back then, the Report stated that 2.6 million households in Florida were ALICE. The cost of basic household expenses increased steadily in every county in Florida between 2007 and 2015. The rise in the Household Survival Budget in Florida was driven primarily by a 20 percent increase in housing costs since 2007. Wages have improved, however, when adjusted for inflation the percent of low-wage jobs is the same as in 2007. ALICE represents every demographic: men and women, young and old, all races and in every county in Florida. Households with children are more likely to struggle, particularly those with a single parent, with 79 percent of female-headed households and 65 percent of male-headed households not being able to consistently afford the basics in Florida. The Florida population is shifting significantly and quickly. The number of households headed by people under 25 fell by 29 percent since 2007, while households over 65 increased by 24 percent. Surprisingly, the more vulnerable of both populations are often vying for the same housing and jobs; nearly half of those over 65 are now in the workforce. Technology plays a critical role in the changing job landscape and ALICE is uniquely vulnerable. 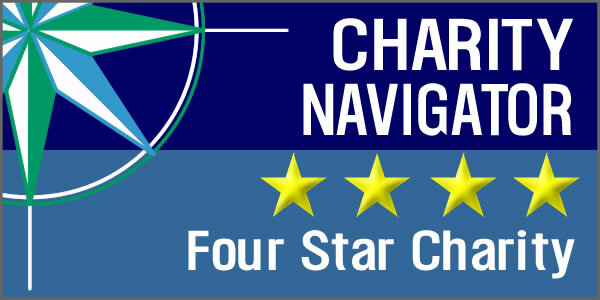 In 2015 Florida ranked as the 4th highest state for technology jobs, yet research indicates a significant percent of Florida’s jobs will be replaced or significantly impacted by technology in the next two decades. The ‘Gig Economy’ is continuing to move more jobs from full-time jobs with benefits to part-time, on-demand or contingent employment. This creates opportunities for ALICE to fill short-term gaps in standard employment, but also transfers many costs and risks from employers onto individuals. Florida United Ways have joined United Ways in fourteen other states, covering 40 percent of the US Population, to provide statewide ALICE Reports. The methodology for the updated report was improved by using county-level average household sizes for households above and below age 65, instead of statewide averages and incorporating the costs associated with the Affordable Care Act. The updated ALICE Report recommends both short-term and long-term strategies to help ALICE families and strengthen communities. Florida United Ways work with a myriad of partners and invest more than $100 million every year to empower ALICE families through education, financial stability and health programs. Funds are raised and invested locally to help those in crisis and prevent families, seniors, veterans and other important but vulnerable members of the community from falling into poverty. In 2016, IRS-certified volunteers in Florida, working at 733 tax preparation sites, coordinated by United Way and dozens of its partners, filed 225,000 tax returns that helped ALICE families, the elderly and disabled claim over $232 million in tax refunds, including important tax credits. Despite these tremendous efforts, each year, tens of thousands of Florida ALICE households do not have the safe free help to maximize their tax refunds, and fail to claim more than $1.1 billion in Earned Income Tax Credit and $193 million in higher-education tax credits. 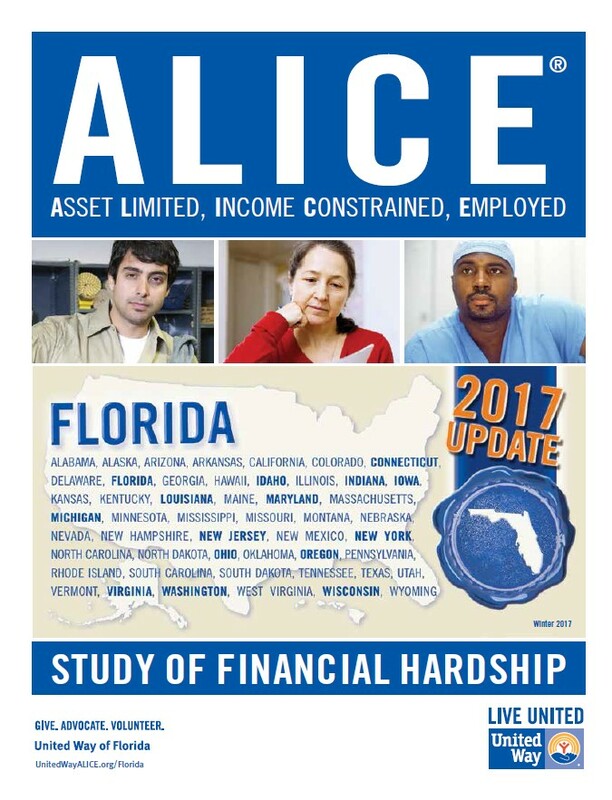 For the first time, an online simulator is also available to experience the financial challenges that ALICE households in Florida face at WalkWithALICE.com, powered by United Way Suncoast. To read a copy of the report and view state and municipal data on the size and demographics of ALICE households and to learn more about how this financial hardship affects ALICE families and our communities, visit uwof.org/alice. The United Way of Florida is a statewide association representing Florida’s 32 United Ways on legislative and administrative issues, training, and disaster preparation, response and recovery issues, among others. The mission of the United Way of Florida is to enhance Florida United Ways’ efforts to increase the organized capacity of people to care for one another.